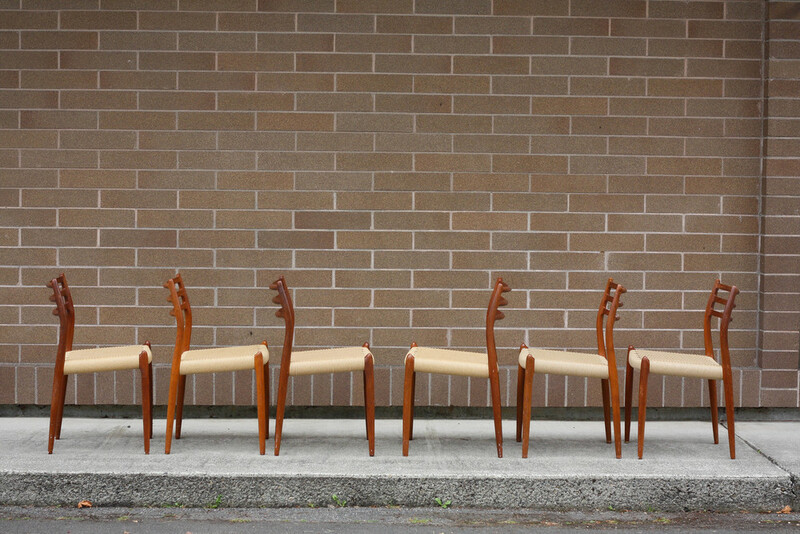 This set of six Moller #78 dining chairs were designed by Niels Moller for JL Moller in Denmark and labeled as such. 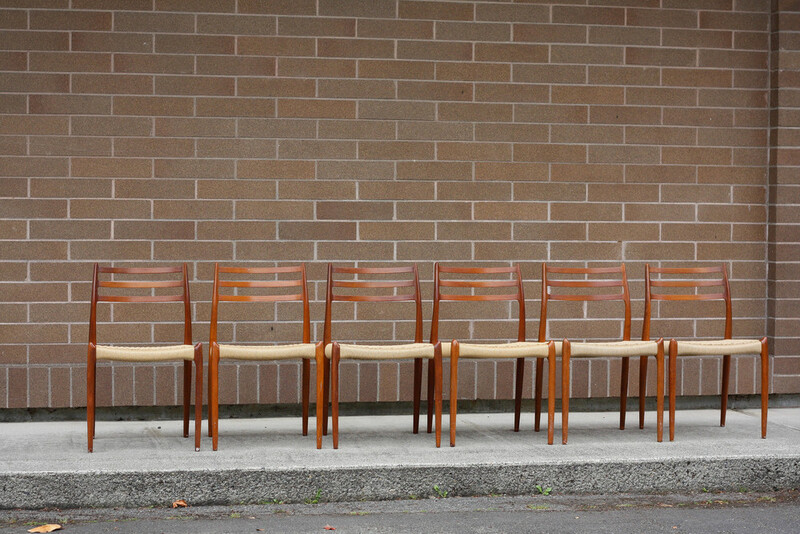 The patina on these chairs is out of this world with various shades of red, orange, and brown highlighting the chairs beautiful lines. Be sure to note the joinery of the back pieces and the seamless look. 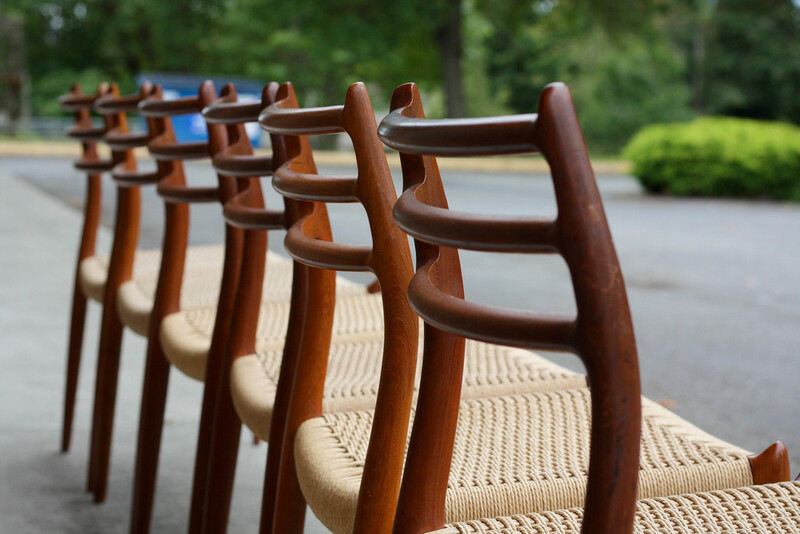 The back spindles are flat on the front of the chair and dramatically curved on the backside. You cannot find chairs produced to such exacting standards today. 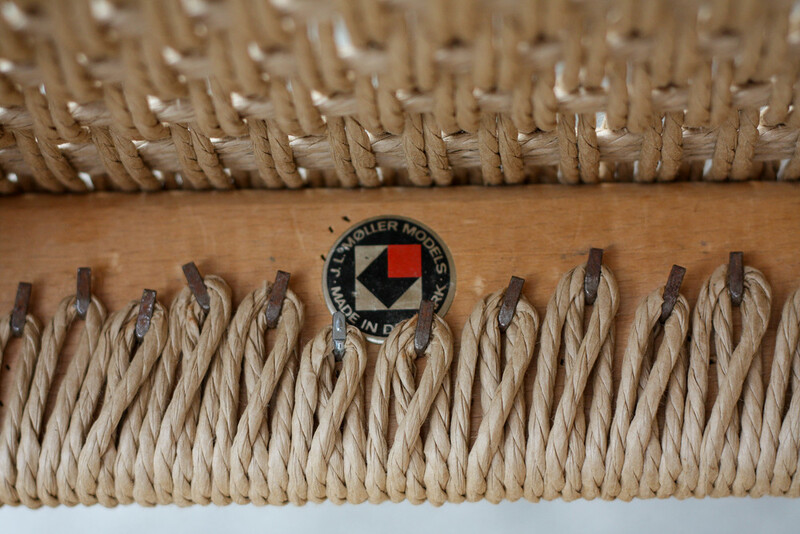 The Danish Cord seats are in wonderful condition with no staining, tears, or rips to the danish cord. email: Hi@midandmod.com for a shipping quote.